A turbine meter consists of a practically friction-free rotor pivoted along the axis of the meter tube and designed in such a way that the rate of rotation of the rotor is proportional to the rate of flow of fluid through the meter. This rotational speed is sensed by means of an electric pick-off coil fitted to the outside of the meter housing. The only moving component in the meter is the rotor, and the only component subject to wear is the rotor bearing assembly. However, with careful choice of materials (e.g., tungsten carbide for bearings) the meter should be capable of operating for up to five years without failure. A primary standard calibration is one that is based on measurements of natural physical parameters (i.e., mass, distance, and time). This calibration procedure assures the best possible precision error, and through traceability, minimizes bias or systematic error. A secondary standard calibration is not based on natural, physical measurements. It often involves calibrating the user’s flow meter against another flow meter, known as a “master meter,” that has been calibrated itself on a primary standard. “To calibrate” means “to standardize (as a measuring instrument) by determining the deviation from a standard so as to determine the proper correction factors.” There are two key elements to this definition: determining the deviation from a standard, and ascertaining the proper correction factors. Flow meters need periodic calibration. This can be done by using another calibrated meter as a reference or by using a known flow rate. Accuracy can vary over the range of the instrument and with temperature and specific weight changes in the fluid, which may all have to be taken into account. Thus, the meter should be calibrated over temperature as well as range, so that the appropriate corrections can be made to the readings. A turbine meter should be calibrated at the same kinematic viscosity at which it will be operated in service. This is true for fluid states, liquid and gas. “K” is a letter used to denote the pulses per gallon factor of a flowmeter. The maximum deviation from the corresponding data points taken from repeated tests under identical conditions. Unlike primary flow standards, whose most important characteristics are their traceability to primary physical measurements (resulting in the minimization of absolute uncertainties, with less concern for usability or cost issues), the key criteria for secondary Flow Transfer Standards are portability, low cost and the ability to calibrate the flowmeter in the physical piping configuration it lives in. Instead of removing flowmeters from service for recalibration, FTS devices allow users to “bring the calibrator to the flowmeter.” These portable, documenting fieldflow calibrators are intended for in-line calibration and validation of meters using the actual process conditions for gas or liquid. Advanced FTS systems in corporate hand-held electronics with built-in signal conditioners, thus eliminating bulky interface boxes and the need to carry a laptop computer into the field. High-quality Flow Transfer Standards also have the capability of measuring and correcting the influences of line pressure and temperature effects on flow. Operation of a portable Flow Transfer Standard requires that a master meter beinstalled in series with the flowmeter under test. The readings from theseinstruments are compared at various flow rates or flow totals. A technician caninstall the master meter in the same system as the test meter, perform thecalibration, and note any changes in performance. New calibration data might causerescaling or new data points to be programmed into a flowmeter’s computer to align the measurement with the current flow calibration data. Most flowmeter calibration service suppliers provide a choice of calibration techniques to accommodate different applications and flow measurement requirements. One of the most common techniques is the single-viscosity calibration, which consists of running 10 evenly spaced calibration points at a specified liquid viscosity. Single-viscosity calibrations are recommended when the viscosity of the liquid being measured is constant. If a higher degree of accuracy is needed, again, the more data points taken the better defined the meter calibration curve will be. Once your flowmeter is calibrated, it may still read exactly the same under the same flow conditions as it did before it was calibrated. The difference is that you will know exactly how close those values are to the true values, and you will have a formula to use to calculate the true values from the actual values read by your flowmeter. 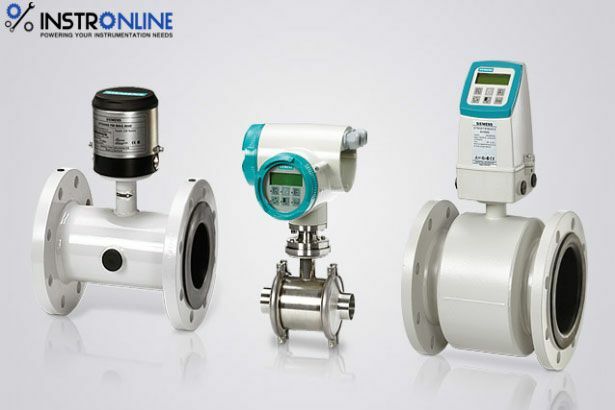 You can have a correction factor obtained from calibratiob which you can apply to the flow meter readings to obtain the correct or true flowmeter readings. K-factor ignores the effects of changing temperature on the meter body since the meter will change diameter when the temperature changes. The use of Strouhal Number instead of simple K-Factor will account for this temperature effect.